Top Search Engines Are Vital to Maximizing Customer Reach and Profit! Google is by far the proven and established leader in search engines. Staying current and educated about the latest improvements and changes in search engine optimization (SEO) is necessary in today’s business world. Bing search engine and Yahoo cannot compete with the basic and broadband reach of Google. Nor can they offer the services, applications and learning opportunities that Google, the global top search engine, makes such a priority for all internet users. Choosing Google to maximize your customer reach just makes for a logical and profitable business best practice! Others have read: What is SEO? Google is the historical leader, and has become a global icon for leadership in consumer driven best practices in business that generate profit! Google has a proven record in investing in all aspects of sustainable practices and healthy internet usage. Balancing the rights of personal privacy, and the real need to disclose information and analyze it, becoming a partner with consumers in designing how we utilize that information, and how we secure our homes and business from cyber-crime are the priorities that have made Google the very best of search engines, and internet service providers for businesses large and small! Google’s proven support for the development of new businesses, and support for innovation are known! If you have not looked at the latest Google business applications, document templates, downloads and more, you should! At an astounding pace, Google is meeting the stated needs of their customers, and they are participating in supporting one of the most vital, one of the most progressive, and one of the largest world wide successful business networks in the world! Others have read: How can I tell where I rank on Google? Google Voice has opened up a new way of communicating with customers on the go! And has offered free long distance across North America calling for years now. Google Voice is very consumer friendly and includes video calling. A great way to meet from a distance. Google Docs offers a platform for writing, sharing and editing documents as a group, as well as online publishing options; that is unrivalled for simplicity of use and impressive business results! Google is unrivalled for Their Dedication to Ongoing Home and Business Security Upgrades! In their ongoing implementation of the very best in home and business internet security, as home and business owners we have needed to learn and adapt. I dare say that has been worth it! Ever adapting security applications and programs like Penguin, have been levelling the business platform back to what it has always been about- honesty, integrity, and real relationships between people about what their home and business communications needs are! This re balancing of securities and freedoms has had a profound effect on interpersonal and business relationships over the past few years. Google has spoken out, Google has requested consumer feedback, and Google continues to redesign their services to meet our needs! The internet should be a safe and fun platform for communications between families and businesses. Google has proven to be the best search engine and the most outspoken public speaker about these online security issues affecting all of us! Google Analytics offers exceptional control of information product and brand information that allows any business, regardless of how long established, to really adapt best practices to produce business profit! Google continues to evolve and adapt to small and large business, and home and personal needs. They are the proven global model for reaching out to customers and responding quickly to customer feedback! There is no doubt about that. That important reputation for dedication to innovation guided by direct consumer dialogue makes Google the top search engine in the world! Bing search engine and Yahoo still fall way behind the reach of Google, and cannot compete with Google’s constantly improving applications and services! People also ask: How do I hire an SEO for my website? 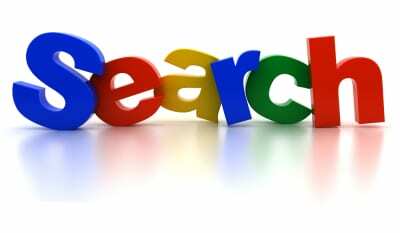 With so many search engines available, how do we know that Google is the best search engine? There are many tools online today that will provide actual real time statistics on the performance of popular search engines, including Google and Bing search engine. These sites will also provide essential information about your personal business website ranking on sites including, Google, Bing, Yahoo, Ask, and Blekko. Google consistently proves to be the best search engine for promoting local businesses, while Yahoo and Bing search engine focus on promoting large websites. They are certainly not to be overlooked, but Google remains the undisputed leader. Google’s dedication to business security and over all internet security is world famous. They do not stop advancing security features! The advent of Penguin might have confused some business and marketing teams, but there is no doubt that Google has a great responsibility to all consumers and business owners to govern information exchange and insure that all internet transactions, especially business transactions are legitimate. It would be impossible for business owners to make progressive and profitable changes to products and services that suit what the costumer wants, if the data that Google collects and displays was not accurate! Penguin and other progressive security features really do help to optimize our profits and our overall business and personal satisfaction! Google’s newest innovations and concern for business owners and customers proves their integrity and lasting quality! Google Analytics is by far the easiest to use and most exciting offering from Google for business owners! The learning opportunities about Google Analytics are immediately applicable to revitalize any online marketing program, and suitable for all businesses! Offering information on new product releases, advertising reports, cost data import, and campaign measurement features, Google Analytics is your one stop shop for assessing and optimizing your online sales and marketing campaigns! They provide Search Optimization reports to explain clearly how visitors are directed your site. Google Analytics also offers a full range of mobile services, and who isn’t working on- the -go these days? Perhaps the most useful features of Google Analytics for business owners are the advertising campaign performance measurement tools and reports, and the exceptional range of audience characteristics and behavior analysis and display tools. Google Analytics also provides necessary website analysis and testing tools and features including custom reports, real time reporting and more! With the information provided by Google Analytics, any business can make simple changes that will transform their customer reach and increase profits. Command a wider audience and optimize customer and professional networking by choosing Google, the proven best search engine, to meet your business objectives! Google, the very best of all top search engines, understands that professional networking is as important as customer reach for growing your business. Google makes it easier every day to expand your own professional network! The meeting opportunities offered by Google Voice, Google Plus, Google Docs, and more, allow for a plethora of creative meeting and collaboration efforts between colleagues, clients and other businesses. With so many consumers learning new information about SEO, and learning every day about changes to our internet environment, Google’s quick response to consumer feedback, and business feedback is one of their most valuable offerings! Bing, Yahoo and other social media platforms are truly not necessary to interpersonal or business success. Focusing our time and our marketing strategies will lead to profit! Google continues to inspire all business by allowing our feedback to guide their innovation. We can only expect more of the best services, and without question the best search engine experience among all top search engines with Google!